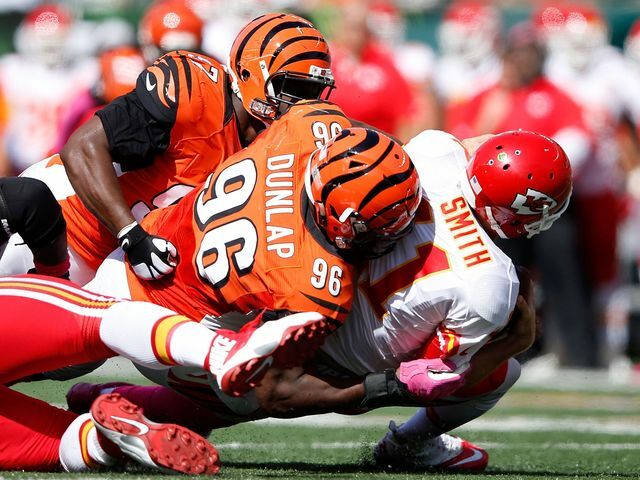 The NFL Network did a segment on the Cincinnati Bengals’ defensive end Carlos Dunlap and his preparation for the Thursday night game vs Miami. In explaining the importance of getting to the quarterback, Dunlap said, “That’s the key to the head of the snake.” This is a mash up of “key to success” or “key to the game” (crucial piece to win) and “cut off the head of the snake” (military term meaning to remove the enemy leader first so as to weaken the rest of the enemy). A big thanks to Bob Marchinetti for hearing this one and passing it on! This is a great one. Love it. They key to the head of most snakes is a mouse. Opens ’em right up.